This entry was posted in hobbies on April 20, 2007 by apricot. Those are probably the words that every ballet student waits to hear from the moment she puts on her first slippers. It takes at least 3 years of 3 technique classes a week to get to this stage. But I’m feeling slightly ambivalent; why? I’m concerned that I’m not strong enough to do it. I do trust my teacher’s judgment; she’s been watching me since September ’06. But I weigh more than most dancers; it’s going to be tougher to get up and over the box than, say, if I weighed 110 lbs. On the other hand, the extra weight will work my feet and ankle muscles harder, so that when I do lose the weight, I will be able to do amazing jumps, turns, etc. Also, pointe shoes force one to work the feet harder and more correctly. If only the darned things didn’t cost 70 bucks a pair. One final con: pointe shoes=hideous feet. Corns, bunions, blisters…just in time for summer. Still, pointework is the heart and soul of classical ballet. Hard to decide what to do. What would you do? Well; for inspiration’s sake, look at photos of this year’s Prix de Lausanne winners. 🙂 The nice thing about these dancers is that a lot of them are from Asia, and they have smaller insteps like I do (and unlike the monstrously gorgeous fat instep of the photo above)! This entry was posted in dance on April 16, 2007 by apricot. Introducing my new digital camera, the Canon A460. I love it. It’s so excitin’! Of course I don’t plan to abandon my faithful Nikon N80, which will be used from now on mainly for artsy black and white film photos. This Canon will be used for day-to-day snappage. And what better way to demonstrate its capabilities than through FOOD? 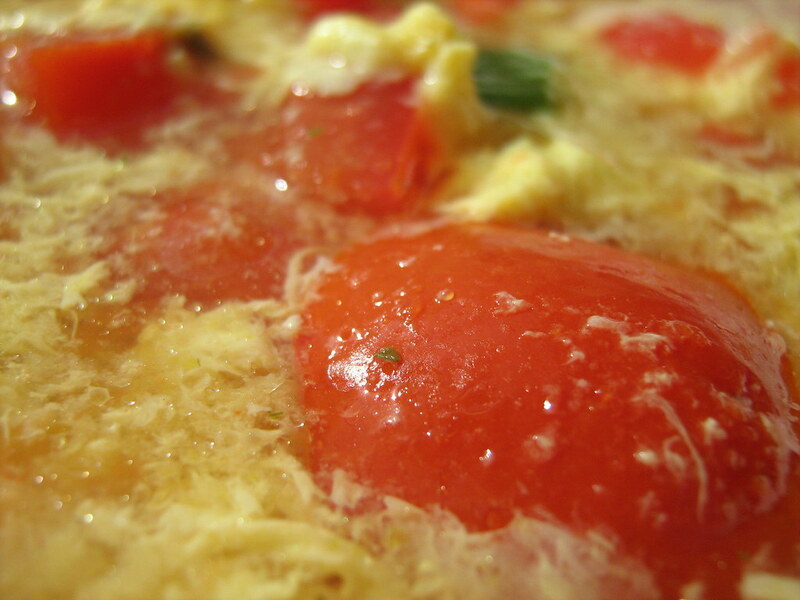 Here’s the tomato-egg soup I whipped up today. This entry was posted in food, photography on April 12, 2007 by apricot. It’s not often that I turn out a perfect product, but..these garlic fries were amazing. The side of garlic aioli just added to the odiferous goodness. Not only were they yummy, but they’re actually pretty healthy–3 tbsp of oil, and then baked in the oven for 20 minutes. Tastes exactly like the real thing. The aioli’s pretty unhealthy (egg and a bucket of olive oil), though, so it doesn’t get to go in the picture. Christine, I miss WRWF! Hope you and Thor are cooking up a storm. 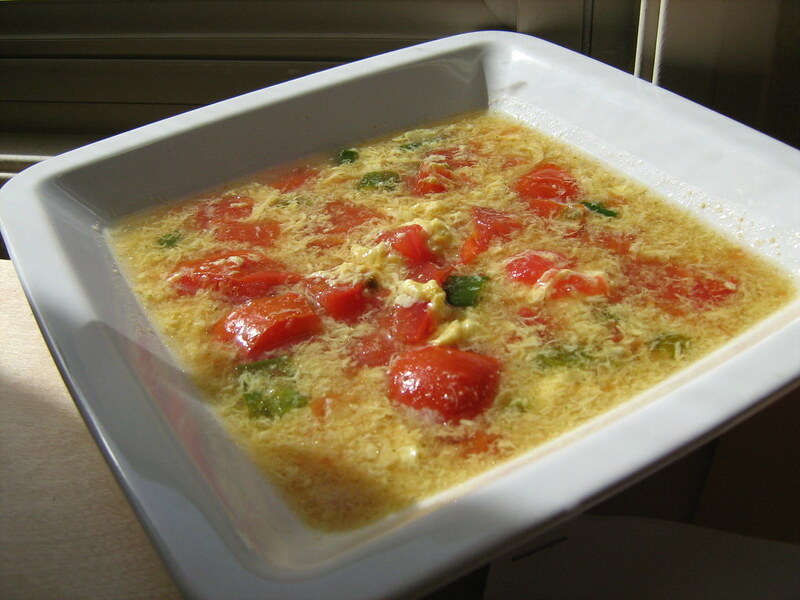 This entry was posted in food on April 8, 2007 by apricot. This entry was posted in life on April 2, 2007 by apricot.